Tuesday 7 November 2017 saw the very first Guidelines Live event held at the Congress Centre in London. 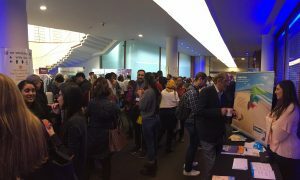 MGP’s long established brands: Guidelines and Guidelines in Practice played host to over 120 healthcare professionals in central London who enjoyed an educational day to keep them up to date with clinical guidance and best practice on guideline implementation. Chaired by Dr Matthew Fay, the day consisted of six expert speakers delivering seven sessions across clinical areas most popular on both Guidelines.co.uk and GuidelinesinPractice.co.uk. Speaking of the diverse range of topic areas, in his opening speech Dr Fay likened the day to a day in general practice and told the audience ‘we have a complex surgery of patients ahead of us today’. The cardiovascular​ session on palpitations from a primary care perspective. What did our delegates think of the event? Over 99% of delegates saying that they would recommended Guidelines Live to a colleague. All sessions from the day were filmed and will be hosted on the Guidelines and Guidelines in Practice websites within the coming months. 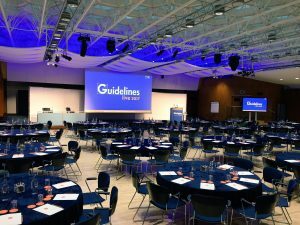 Following the day’s success, we are pleased to announce that we will be hosting two Guidelines Live events in 2018. Guidelines Live 2018 Manchester and Guidelines Live 2018 London will both take place next June.